With the births of my second and third children, I mentioned the emotional disquiet in my marriage in Part 13. Shafiq and I bonded with our little ones, introducing them to the beaches, mountains and natural beauties in Cape Town. We visited outlying picturesque towns and ate out at the waterfront at least once a week. We were always out and about with our tiny troop. Shafiq was an incredible father and much to my chagrin, a distant husband. He withdrew from me emotionally and of course I took this very personally, feeling as if he didn’t love me and that he was a cold fish. I on the other hand, reacted by repressing my frustration for a while and then exploding into fits of anger over anything that triggered me. Shafiq reacted to my explosions with uncharacteristic rage and we’d end up having explosive fights. Its uncanny how partners know exactly how and when to trigger each other. Our children, sadly were not spared, as they could hear our altercations. The underlying resentment between us grew. We vacillated between delight and despair. 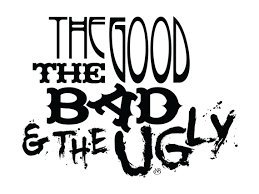 We experienced the full spectrum of the good, the bad and the ugly. My husband and I, in typical fashion sparred on the battlefield of marriage especially in the first decade of our union. I would often lose my temper and lash out at him, and he would clam shut like an oyster in a pearl hunt. My excuse was that I put up with his emotional distance and passive aggression for long periods before I lost my temper. His excuse was that I was always so unpredictable that if he said anything he didn’t know how I’d react. This kind of behaviour became cyclical, where each of us justified our own behaviour because the other person was ‘being unreasonable”. In short each of us were unhappy about how we were being treated by the other. I felt unloved and he floundered about feeling like he could never do anything to please me and not knowing what I was thinking from one moment to the next. I always felt like he didn’t love me enough. I don’t know what he was really thinking, most of my reactions were born out of assumptions about him and his thoughts and feelings, yet it was so difficult to open that conversation with him. We both felt like trapped animals, as the resentment between us grew. My flight response started kicking in. 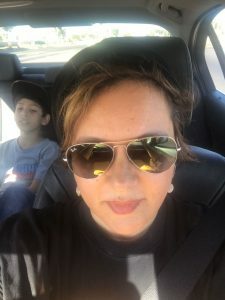 Our children were still little, and as much as I wanted them to not experience divorced parents, I began thinking that they would be better off with us apart. With military precision, I started a separation plan, down to detailed visitation schedules, separation of assets and living arrangements, and I presented them to Shafiq. He responded in his usual contained manner and seemed to concede to my ‘demands’, almost resigning himself to the inevitable. The next morning when we set off to go to work, we found that the garage was broken into and both our cars had the windows smashed. The message was clear to both of us. I believe that the incident was one of the more direct divine communications. The strongest commonality in our union was our love for and belief in God. We both recalibrated and tried to work it out. My frustration and anger still mounted. I was just not coping. I was an emotional mess. I had no idea why I was so unhappy. I lived in one of the most beautiful cities in the world, with an incredible family and I was a successful environmental lawyer. Why was I struggling in my life and my relationship? I was no miracle mother either, but I’ll leave that for later. I had everything to feel grateful for, yet I felt like there was something missing. An emptiness that lurked in the recesses of my mind, waiting to be filled by something. As much as I had hoped that realising the dream of the normality of a husband and children was going to fill the void, I slowly realised that the problem lay with myself, within the mysteries of my own mind and the depths of my soul which continued to push me onward towards my true purpose. Can we ever find happiness from others even if they are our most beloved? I used to dwell on Thomas Hardy’s words in ‘Far from the Madding Crowd’: “Happiness is but an occasional episode in a general drama of pain”. For years I lived by this macabre thought. Is it truly happiness we seek? Our life purpose cannot be simply to find happiness and then die. We all know that the world and its offerings, are complex and challenging and finding meaning in our existence is almost as necessary as the air that we breathe. Our time here is finite. This should give us the clue that the end goal, cannot be happiness. I had to find my purpose. Marriage and children were not my purpose, but part of the journey towards my purpose. On occasion, I would journal, and I came across some of my earlier written thoughts, which brought memories of my emotional angst flooding back. I had always been vexed with the dubious gift of ‘introspection’ ever since I can remember. I eddied in a whirlpool of mixed emotions. I loved my husband but felt estranged from him. I adored my children but felt like I was failing them. I sought affirmation, reassurance, unconditional love and affection from Shafiq. In my mind these were natural needs that a woman could demand from her husband. I sought validation from him of my own self-worth. I never questioned why I needed validation from anyone at all. Did I really need another human being to tell me I am wonderful and worth loving? Surely the fact that God created me, automatically makes me worthy, makes me good enough. Was I not placing an unrealistic burden on my husband to help me feel better about myself? These questions had not yet penetrated my conscious mind and I cried much in supplication to my Lord for help, still with the false notion that my happiness and self-worth was in my husband’s hands. My entire life I looked for validation of self-worth from someone else whether it was my parents, friends, family, teachers and even strangers. I felt unworthy since I was a child. I suspect the incident at the age of six, combined with the cultural foundations from birth about what was ‘good’ and ‘bad’ and the avoidance altogether of what was considered ‘ugly’, were set firmly in my mind and helped shaped my reaction to the world ever since. I not only found the world to be an untrustworthy and dreadful place, but I saw myself as being unworthy. After all, I had to have been bad and unworthy. I lived the self-fulfilled prophecy of my own depravity that I first encountered at the tender age of six. I continued to react to the world through a lens of fear, anger, aggression and pain. In my anger I irrationally apportioned blame, most often to those closest to me, who in my mind, irrationally should know better. Now I was placing the humongous burden on my husband to fix all this. Was I forever trapped in the prison of my self-deprecation? Then, after 10 years of marriage, a sliver of hope opened in the horizon of my abyss. Shafiq and I were accredited to go on pilgrimage to Mecca. With much trepidation, we prepared for the most intense journey of our lives. For the first time, God-willing, I will reveal the surreal experiences I had only shared with a few on the journey of my lifetime.